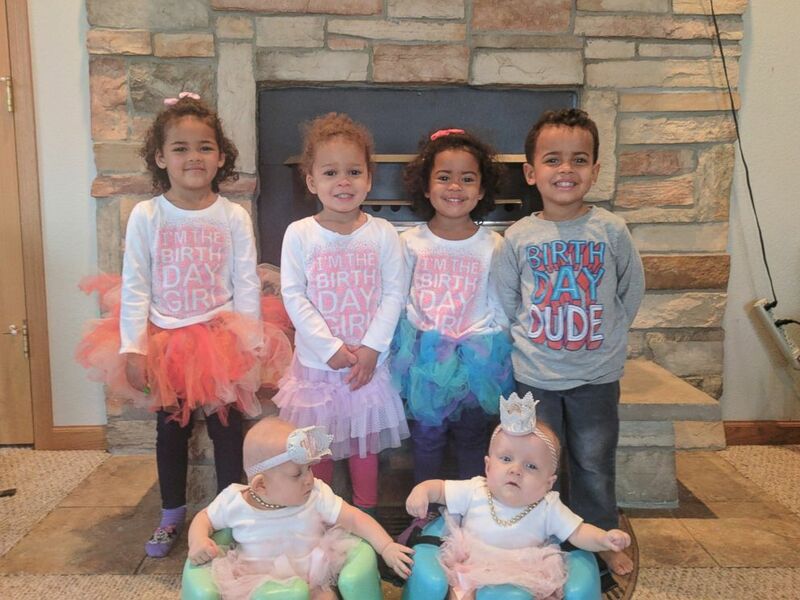 Wisconsin couple has 3 sets of twins all with the same birthday! Carrie and Craig Kosinski are adopting two sets of twins and then gave birth to their own set of twins on Feb. 28, 2017. What are the odds? A Wisconsin couple currently in the process of adopting two sets of twins recently gave birth to their own twins. What’s even more interesting is that all of the twins were born on the same date — Feb. 28 — in different years. Carrie and Craig Kosinski, who live on a farm in Union Grove, always planned to adopt. “Adoption was always a part of what we had planned … but we wanted to try to have our own children first and then adopt,” Carrie Kosinski, who was herself adopted as a child, told ABC News. “But we were told by the doctors we wouldn’t be able to have kids on our own,” she said. AFter Carrie, 28, was diagnosed with endometriosis and has other issues that complicate ovulation, the couple moved up their adoption plans, she told ABC News. Then an acquaintance from high school reached out to the Kosinskis in July 2013 asking if they would adopt her twins who were due to be born Feb. 28, 2014. The mother was already mom to an older set of twins, born on the same day a year earlier. Carrie said the couple became legal guardians of the twins, Kenna and Adalynn, three months later. “A year after we got the younger set [of twins], we were contacted again by her saying that she wasn’t in a good place financially and … asked us if we could take the older set of twins as well,” Carrie said. The Kosinskis agreed, becoming the legal guardians of the older set of twins — JJ and CeCe, who are now 4. The Kosinskis are in the process of adopting both sets of twins, a costly process. They received a $4,000 grant to help cover the costs from the One Chance Foundation, created by bestselling author Karen Kingsbury. Kingsbury told ABC News that although she’s never met the Kosinskis, her foundation’sstaff was moved by the couple’s story. Still, the Kosinski family wasn’t done growing. Thanks to IVF treatments, the couple learned last year that they were expecting twins of their own. Their biological twins, Clarissa and Karraline were born prematurely on Feb. 28.